When branding your business, there is one key element you should not overlook. Your business card. Your business card sets the tone and the expectation of what people will experience when they do business with you. It is the face of your business that you leave behind after meeting someone. Do you think your business card is serving its purpose? 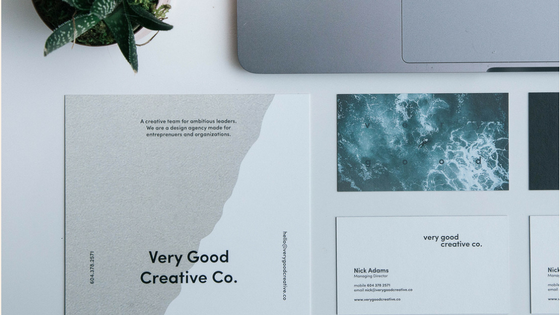 Find out when you look at the following 7 things not to overlook when designing your next business card below! The first thing someone will notice about your business card is how it feels in their hand when you hand it to them. Is it firm, substantial, and rich feeling or is it flimsy, thin, and cheap? The texture of your business card sends a message about your business and brand. The font you choose for your business card is critical. Simplicity and consistency is key when it comes to branding. Choose fonts, sizes, and color palettes that are clear, easy to read, and are in the same font family as your logo. Avoid small font sizes as well as script and cursive fonts. While script and cursive fonts are pretty and some believe they send a message of elegance and class, they can also create confusion if they are difficult to read. There are other ways to send a message of elegance and class through things like your logo, color palettes, and cardstock texture. Determine a business card color palette for fonts and design elements that are consistent with your brand colors. Remember, you want your business and brand to remain recognizable regardless of where your business is seen. Have the person who is designing your business card make space to prominently display your company’s name, logo, and tagline. Remember, maintain color palettes and font selections so that your brand is easily recognizable. Download a free product, eBook, report, white paper, printable, etc. Request a mock-up or a printed proof of your business card. Seeing a printed version will call out some elements that may need some attention or revision. A printed version always looks different than what you may see in a digital version. Now that you have seen these tips when you look at your current business card, what is it saying about you and your business?